Wine Wednesdays: Every other Wednesday, residents meet in the Clubhouse for Wine Wednesday! The agenda includes tasting a variety of wines and snacking on finger foods like cheese and crackers. Some of our residents even provide entertainment with an acoustic guitar and singing! 24/7 Hospitality bar: Because our Clubhouse is accessible to residents 24 hours / 7 days a week, this also allows 24/7 access to our hospitality bar, including complimentary coffee and tea. Jiffy Lube Live: Although this amenity is not on-site here at Arcadia Run, it might as well be! Just about 3.5 miles from Arcadia Run is Northern Virginia’s premier outdoor music venue. With a variety of large name artists playing concerts throughout the warmer months, there is no shortage of entertainment! Seasonal Events: In addition to fitness classes, wine Wednesdays, football tailgates, etc., our amazing staff plan seasonal events to bring the community together. Today, residents will gather for the annual Arcadia Run holiday party from 12-4pm! Cardio Room: If you’re looking for a great workout, look no further than the cardio room in our Fitness Center to get you started! With treadmills, ellipticals, and bikes galore, this room is a favorite among our residents, and is also used for our fitness classes! Open parking policy: While many apartment communities require parking permits or have limited spots, Arcadia Run has an open parking policy. This means your guests can visit without worrying about a towed vehicle, and you can park wherever you want! Outdoor patio: Our multiple outdoor patios around the Clubhouse exterior are perfect for any type of occasion! There are tables, couches, TVs, and even a fireplace! The outdoor pool is also surrounded by a beautiful terrace with tables and a grill. Walking/biking trails: If you have not experienced the fall season in Northern VA, there is truly nothing like it. The nearby walking and biking trails are going to be vital in maintaining your New Year’s fitness resolutions! Ball courts: No need to drive to the nearest school to shoot some hoops, when you have a brand new ball court just steps away from your apartment home! Clubhouse kitchen/bar: Many of our events take place in this part of the Clubhouse, where there is a beautifully designed demonstration kitchen, complete with barstools and additional lounging areas. 24-hour emergency maintenance: We want you to have access to the best maintenance crew out there, so our on-site maintenance building allows us to assist your emergency maintenance needs 24/7! For more information about this service, contact our leasing office. Weight room: In addition to our beautiful cardio room that overlooks the Arcadia Run patio and pool area, we also have a weight and toning room for even more options to add to your workout. 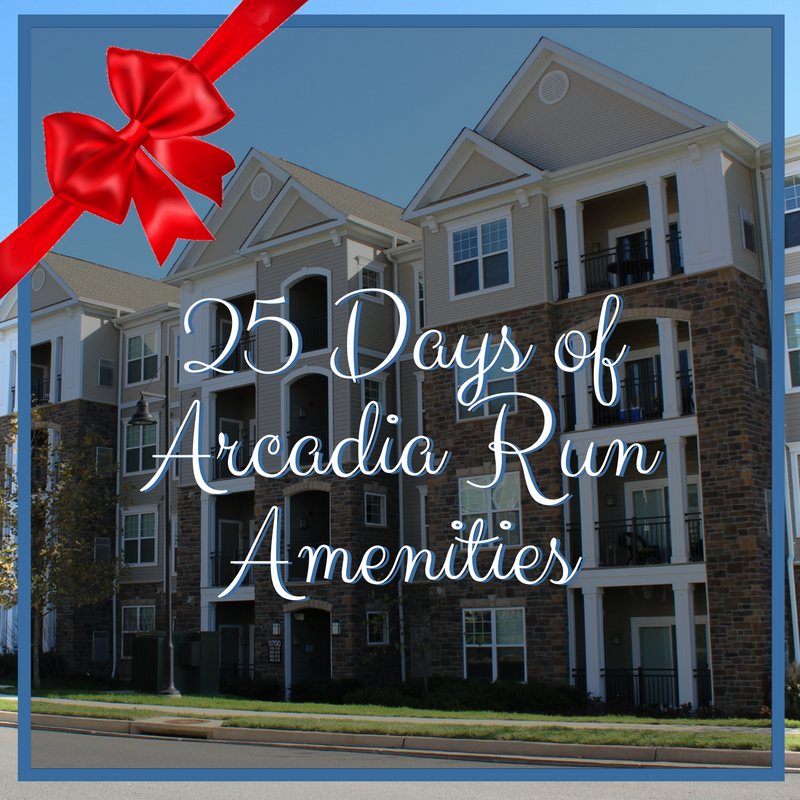 If you don’t think our 25 Days of Amenities have convinced you to move to Arcadia Run, stop by for a tour and see for yourself why our new apartment home community is the best around! If you’ve been following along with our 25 Days of Amenities on our Facebook page, we have now gathered each day into two blog posts so you can read all about our amenities in one place. Below, learn more about just some of the amenities that our beautiful apartment home community has to offer here at Arcadia Run! Clubhouse: Our brand new clubhouse is at the center of our community and is home to many of the other amenities here at Arcadia Run! Package concierge: In our Clubhouse you will find a handy dandy flat screen TV, which is part of our package concierge. It tells you if you have a package to pick up based on your apartment number. Playground: Apartment homes aren’t just for college students or adults, we also have families that live here! Our playground features all of the bells and whistles your kids would want, like swings, slides, and seesaws. Theatre: Yes, you read that right! In our Clubhouse, you will find a theatre with large lounge chairs and a tabletop/bar so you can enjoy your favorite snacks while you watch a movie or a football game. Lounges: Couches, tables, and chairs galore, you will never run out of space to hang out with your friends and neighbors in the Clubhouse. Media Center: If you need to surf the web or find a nice place to study, our media center is equipped with computers and free printing for residents! Fireplaces: Warm up in front of our stone fireplaces in the Clubhouse for a relaxing evening reading a good book. On-site Leasing Office: If you have any problems or questions while living at Arcadia Run, our leasing office is open 7 days a week and our wonderful staff are always available! 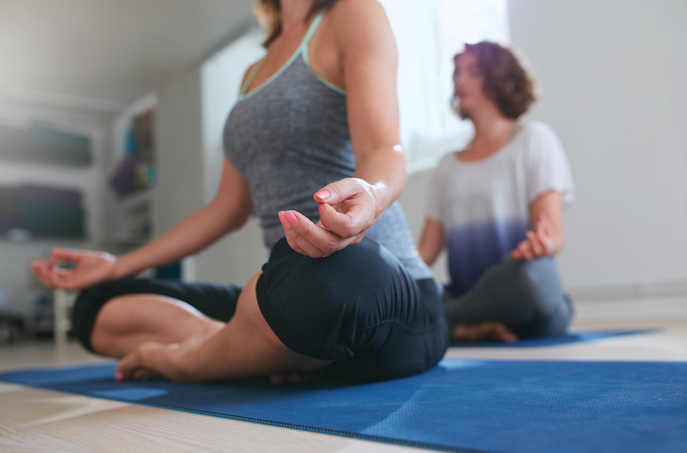 Fitness classes: The New Year is quickly approaching and what better way to get in shape than with free fitness classes hosted by Power for Life Fitness? Visit our Facebook for the full December schedule of events. Private conference room: For all of your important meetings, or not so important meetings, we have a private conference room right in our Clubhouse. Contact our property manager to reserve it today! Resort-style pool: Although summer is long gone, we are almost halfway to Summer 2017! Our resort-style pool is the perfect place to cool off on a hot day or put in some laps. 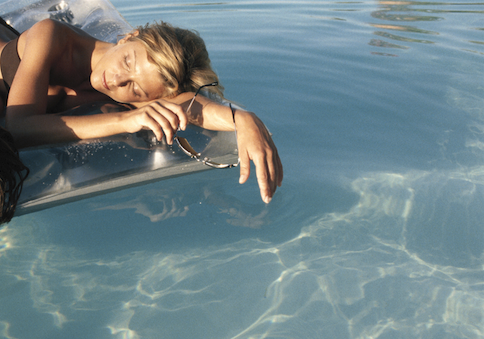 “Away from home” services: If you’re going away for a long weekend, don’t fret! Sign up for our “away from home” services so your cat and Fred the fern are both taken care of while you’re gone. Fire pit: Don’t you ever just get the itch eat a few s’mores? We get it too. Our on-site fire pit is perfect for evening get-togethers roasting marshmallows with your neighbors. Stay tuned for the rest of our 25 Days of Amenities in Part 2 of this blog series, coming next week!